iOS 10 allows apps to provider Caller ID labels for incoming voice calls, and automatically block callers, too. Update: This article was updated September 19 to include information about Hiya’s use of contact phone numbers and related privacy issues. Constantly hassled by incoming calls on your iPhone that promise riches for filling out a survey, claim the IRS will arrest you if you don’t wire a payment (to Costa Rica), or say they’re calling from your “credit-card company” without mentioning which one? iOS 10 packs a solution: apps can now identify callers as scammy or spammy, and optionally automatically block them. This may be useful for you, or to help a loved one install on their phone if they can’t always differentiate between legitimate callers and those aiming to defraud them. Incoming calls are identified as they happen. These apps can also provide Caller ID lookup, offering the name of a business or person associated with a phone number, instead of a rough location, as Apple shows by default. Apps will have a variety of options and prices: Some will be entirely free, some have a one-time payment, and others require a recurring subscription. Many already appear in a more limited form in the App Store and are available on Android, where deeper call integration was already available. With one or more apps with call-blocking or Caller ID lookup features installed, you can selectively turn them on and off via Settings > Phone > Call Blocking & Identification. Entries in your Contacts list and some other methods Apple uses to identify callers override third-party rules. But, for the most part, you should see either a warning label or a directory lookup for numbers not in your Contacts. The free Hiya app appears first out of the gate, an update to its maker’s previous iOS app and now analogous to its Android version. 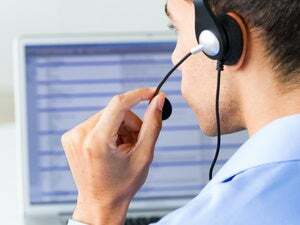 The company, also named Hiya, collects reports from a variety of data sources, public and private, and categorizes unwanted calls into a few types. Its technology is used by Samsung and T-Mobile, as well as available in app form. If you copy a phone number from the Phone app or another source in iOS and switch to Hiya, it recognizes the format and offers to look it up. The lookup shows any information, including reports from other users, a ranking, and the number’s location and cellular network. You can then tap to report, selecting a category and entering a report, or block. Hiya says that it discovered a flaw in call blocking that prevents it from blocking numbers at the moment (both automatically and at a user’s request), but Apple is aware of the flaw and plans to fix it. Hiya and other apps will be able to automatically block calls by criteria instead of just labelling them. 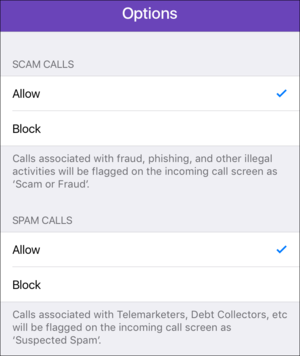 Once that’s fixed, Hiya will be able to automatically block scam and/or spam calls, which will prevent you from even seeing the call appear. These options might be good for a relative or friend who either wants to or needs to not receive such calls. 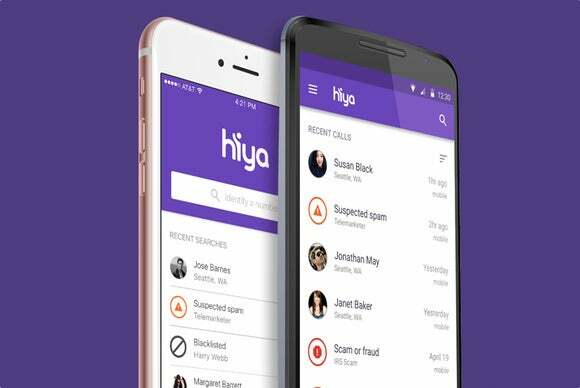 Hiya says it uploads a user’s phone number and contact phone numbers to add to its global whitelist, because contacts tend, as it notes, not to be spammers. The app also uses your contact information to help with calls placed within the app, one of its features. The company says it keeps contact data otherwise private, and doesn't sell it to third parties, nor does it use the information to market to your contacts. Hiya also says it doesn’t give your phone number to third parties. While the proof is in the pudding with privacy, Hiya is subject—like any firm doing business in the United States—to state and federal privacy laws, and to investigation and sanction by the Federal Trade Commission if it makes representations to its customers about how it makes use of their data that turn out to be false. Their promises can't be simply empty, and state attorneys general have often been more aggressive than the FTC in pursuing privacy violations. Other apps well known in the Android world have announced upcoming release. TrueCaller, popular in India, claims to block about 400 million calls a month, and Nomorobo, popular with VoIP calling services, have versions coming. Nomorobo plans to charge $2 a month after a 30-day free trial. Many apps that offer limited blocking and ID already appeared in the App Store prior to iOS 10, so you’ll need to look carefully to find ones that have been updated. Some older apps manipulate your Contacts to add huge quantities of numbers, which was an ugly kludge, but it worked. Fully compliant iOS 10 apps don’t have to mess with your Contacts at all, so look for a release date of September 13 or later.